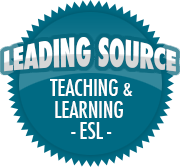 Literacy Skills | So, You Think You Can Teach ESL? Every month, I read a different storybook to my kindergarten kids, and this month we’re reading Joseph Had a Little Overcoat by Simms Taback. If you aren’t familiar with this story, it follows a man named Joseph. He has a large overcoat, which gets old and worn. As the story progresses, he turns his coat into a new article of clothing (jacket, vest, neck tie, scarf, handkerchief, and button). Joseph never seems to be upset or sad when his coat gets old and worn. Instead he thinks of something to do about it. He’s such a positive guy! We can all follow his example! This book is great for teaching sequencing skills, as well as having a unique and engaging visual style. It reminds me of Eric Carle’s art style. There are so many things for kids to see and point out on each page. Joseph Had a Little Overcoat‘s overall lesson is, “you can always make something out of nothing,”. That message is one children and adults can take to heart. There are also many fun activities you can do with this story, like making clothing collages, dressing up paper dolls, or male felt/flannel board props.